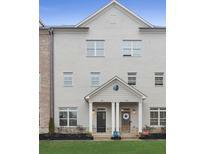 Highlands View - Great Floor Plan Includes Bedroom And Full Bath On Lower Level. MLS#6522434. Ansley Atlanta Real Estate, Llc. 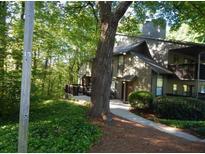 Vinings - Beautiful Renovated One Level Condo-Min To Suntrust Park-The Battery-Silver Comet Trls-I285/I75/Ga400-Tons Of Shopping/Resturants-Not Far From The Airport- Dwntwn Atl-Custom Coat Clst/Stg Chest-Large Family Room With FIreplace/Built In Shlvg-Large Cvrd Balcony W/Flowing Crk & Walking Trls-Updated Spac Kitchen W/Cstm Soft Closing Doors & Drawers-Granite Ctr Tops W/See Through Breakfast Bar-Dining Area With Custom Accent Pallet Wall-Hardwood Floors Throughout Active Areas-Spacious Gst Room W/Full Updated Hall Bath-Large master W/Updated master Bath-Large W/In Closet-Nest Thermostat-Community Include 2 Pools/Tennis Crts/Dog Pks! MLS#6523911. Jeff Justice And Company Realtors. Austin Lake - What More Could You Ask For MLS#8547356. Keller Williams Rlty Cityside. Cooper Lake Estates - Fenced Bk Yd Has An Abundance Of Decks For Your Entertaining. 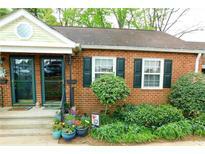 MLS#8548001. Live Love Atlanta Llc. Vintage Square - Hoa Includes Trash, Sewer, Water And More! MLS#6523044. Berkshire Hathaway Homeservices Georgia Properties. 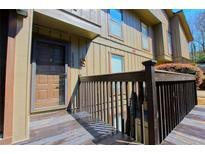 Terraces At Park Avenue - Great Location Close To West Village And Silver Comet Trail. Mint Condition! MLS#6522593. Kay Kim Realty. Views At Park Avenue - Close Proximity To West Village, Ivy Walk Shopping & Dining.Minutes From I-285 & The Silver Comet Trail! MLS#6523303. Landmark Commercial & Residential Properties, Llc. Ivy Spring - Nearby Bike Rentals, Farmers Market, Community Center And The Braves Battery. Low Hoa Dues. MLS#6520904. Keller Williams Realty Atl North. 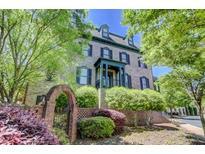 Paces Ferry North - This Property Will Not Last Long. MLS#6523354. 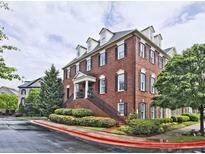 Drake Realty, Inc.
Waterford Place - Amenities Include Swim & Tennis. Don'T Miss This One! MLS#6522920. Keller Williams Realty Chattahoochee North, Llc. 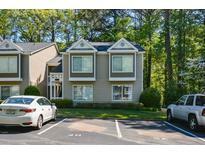 Awesome Location With Easy Access To I-285, Suntrust Park, Airport, & Midtown. MLS#6522418. Excalibur Homes, Llc..
Waterford Place - You Found It!Welcome Home!Open And Airy-It'S The Perfect Retreat After A Long Hectic Day!This Adorable Condo Is Located Minutes From Suntrust Park,The Battery And It'S Convenient To Everything That Smyrna Has To Offer!Minutes From Shopping,Dining,Entertainment & More!Convenient To 75/85 & Hartsfield-Jackson International Airport.It'S The Perfect Gathering Place For A Quite Evening In Front Of The Fireplace Or Fun-Filled Gathering In Your Dining Area & Sunroom Laughing With Great Friends.You Won'T Want To Miss The Opportunity To See This Gem!Schedule Your Showing Today! MLS#6522405. Bhgre Metro Brokers. 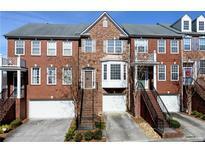 Vinings Forest - 1 Year Home Warranty Offered By Seller. MLS#6521800. Coldwell Banker Residential Brokerage. Easy Access To Silver Comet Trail MLS#6521072. Beacham And Company Realtors. The Smart Nest Stays With The House. MLS#6520709. Focus Realty Investment. Wetherbrooke - Basement Includes Space For An Additional Bedroom & Media Room Plus Separate Full Bath Decks On Both Levels Look Over A Relaxing Green Space. 2 Car Garage Attached MLS#6519956. Berkshire Hathaway Homeservices Georgia Properties. 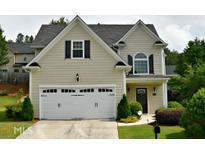 Vinings Forest - Don'T Miss Out, Great Home To Call Your Own! MLS#6519423. Method Real Estate Advisors. King Springs Heights - Photos Represent Model. Low Cobb Taxes! MLS#6518681. Berkshire Hathaway Homeservices Georgia Properties. Creekside At Vinings - This Is More Than A Home. It Is A Lifestyle. MLS#6518516. Berkshire Hathaway Homeservices Georgia Properties. 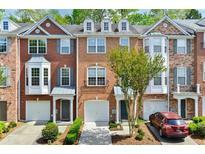 Vinings Crest - The Kitchen Has All Of The Updates You Are Looking For In This Like New Townhome Recently Built In 2014. MLS#6518211. Realty One Group Edge. King Springs Heights - $5,000 Cc With Preferred Lender! Photos Represent Model. MLS#6518287. Berkshire Hathaway Homeservices Georgia Properties. Hillsdale - Hoa Amenities Include A Community Pool And Tennis. Come View This Home Today. MLS#6518373. Offerpad Brokerage, Llc..
Vinings Central - Surrounded By Walking Trails Along The Chattahoochee, W/In Minutes Of Suntrust & Braves. Excellent Amenities! MLS#6515499. Keller Williams Realty Community Partners.